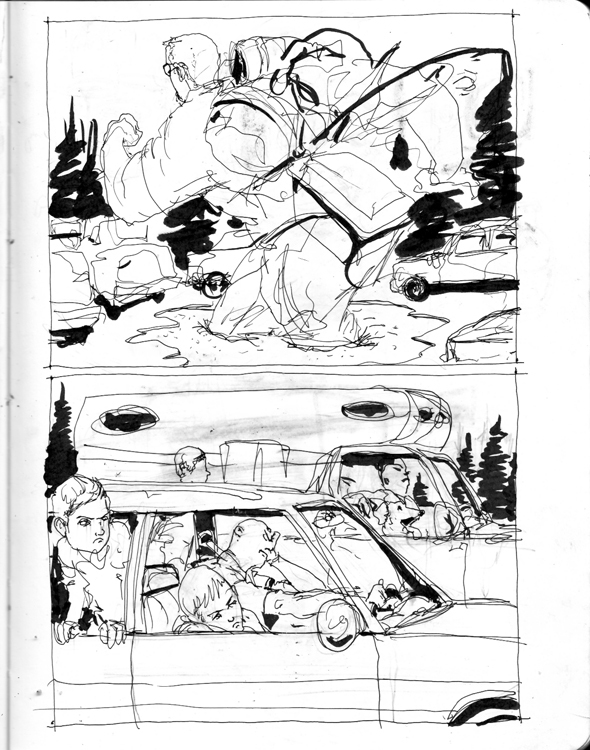 Michael Byers | Sketchbooks Are A Must For Me. Sketchbooks Are A Must For Me. Lately I’ve been posting pictures that I’ve taken of random sketchbook pages. Most people have seen them on Instagram and then Facebook and Twitter. I have been receiving the most wonderful feedback and I really do appreciate all of the comments. 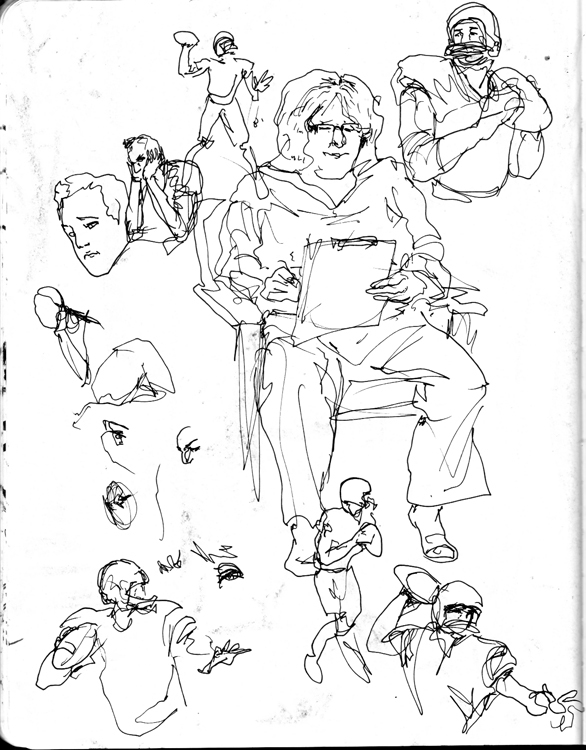 I’ve been using a sketchbook quite often ever since I was in college at Sheridan Institute of Technology in Canada. Many of my teachers including the program co-ordinator, Joe Morse, kept an active sketchbook. We had many sketchbook assignments. 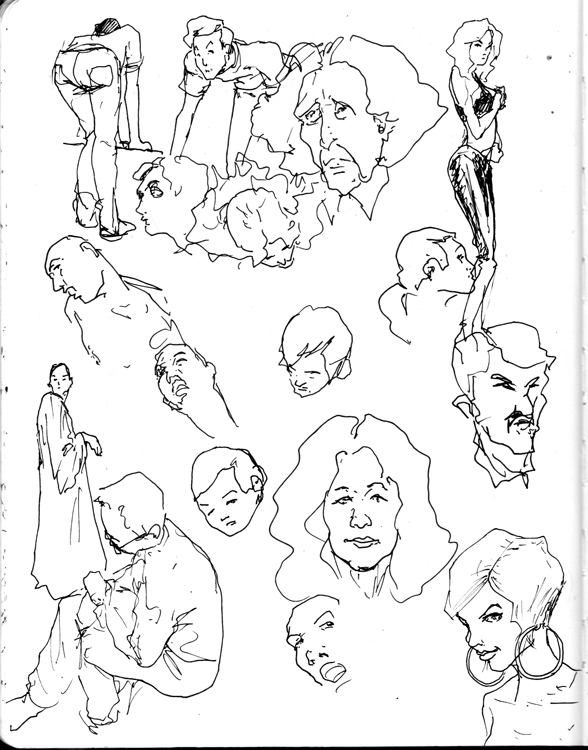 Like many people I was always intimidated by the crisp white pages of a sketchbook. I never really knew just how powerful, freeing, motivating, and even therapeutic they can be. I would be afraid to start any sort of drawing for fear of making a ‘bad’ drawing. 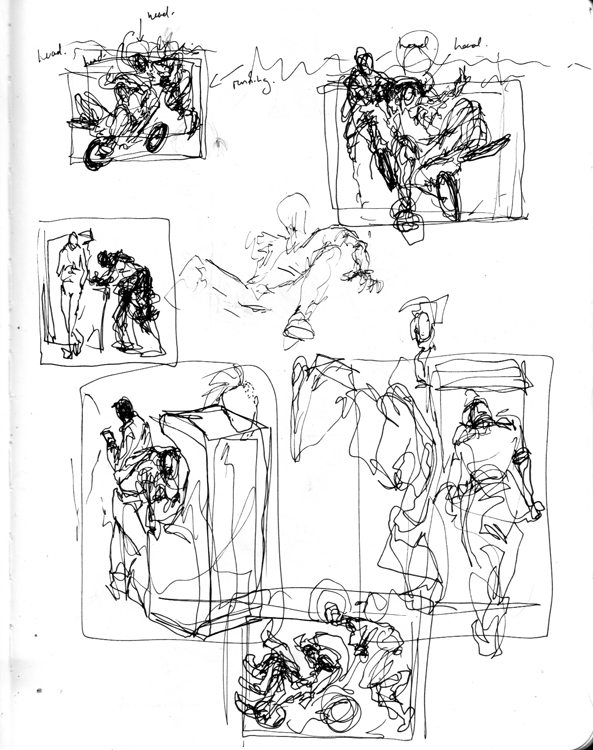 That all changed after one of my figure drawing professors said some of the best advice I ever received in school. He said that you’ll have 100 or more ‘bad’ drawings before you get a good one. That stuck with me until this very day. I felt liberated and free. I felt finally I can relax and not be anxious about sketching, drawing, or just creating in my sketchbook. I took this as a great thing. It mean that I could give myself permission to do crappy artwork. That is it’s okay to not have a good drawing. The good one will come eventually. Just plough through the garbage until a gem comes out. The benefit of this is the learning. 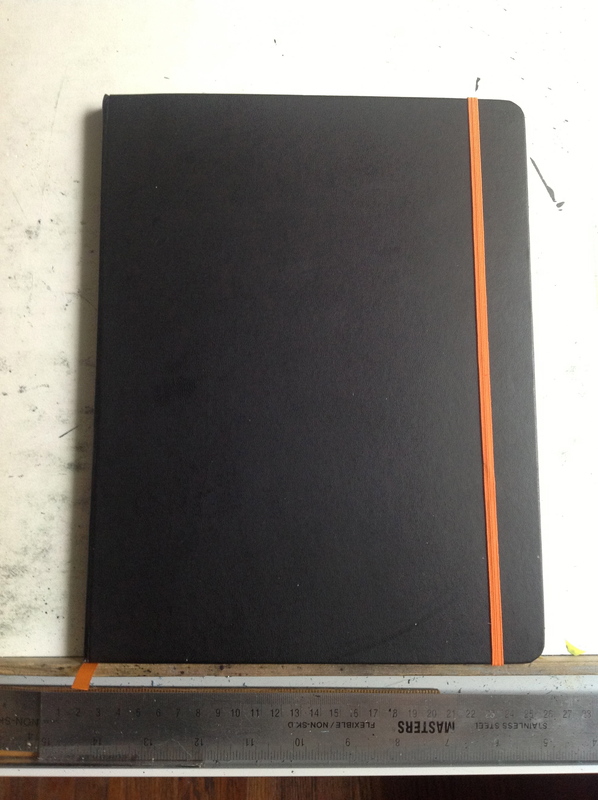 A sketchbook as far as I see it is a place to learn, grow, and develop who you are as an artist. It’s like a therapist that doesn’t talk back. Well sometimes it can. I talk back to myself all the time in my sketchbooks. I use my sketchbook to just doodle, work on ideas for client jobs, send myself self-help/motivational messages, make to-do lists that I rarely follow, and just brainstorm. Using my teacher’s advice made it okay to make pages and pages of circles if you can’t come up with anything to do. It allowed me to learn how to draw better by simply DRAWING. It’s the only way you’ll get better. I draw a minimum of one thing every single day. 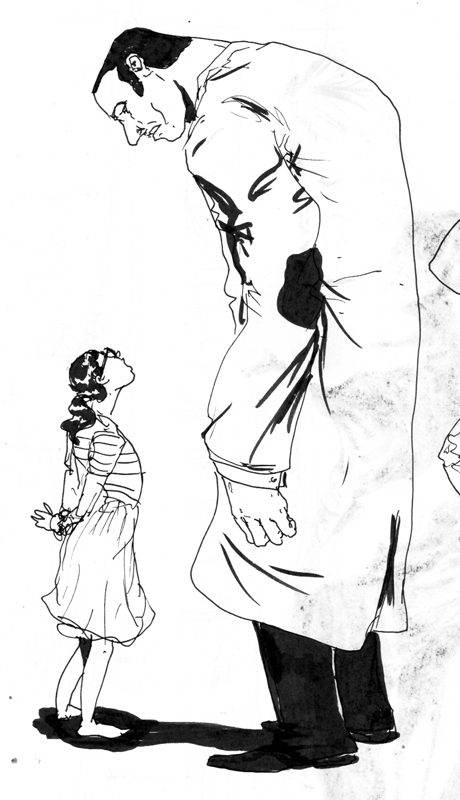 I might drawing a complex scene or a stick-figure. Drawing is like any other skill. You need to practice everyday. I’m still learning and striving to get better and better all the time. Professional golfers have to play golf all the time in order to be professionals. My sketchbook is like my gym. It’s where I get up and go exercise each day. Only in this case I’m exercising my drawing muscles. One day I’ll compete in drawing Mr. Olympia when I’m big and strong. 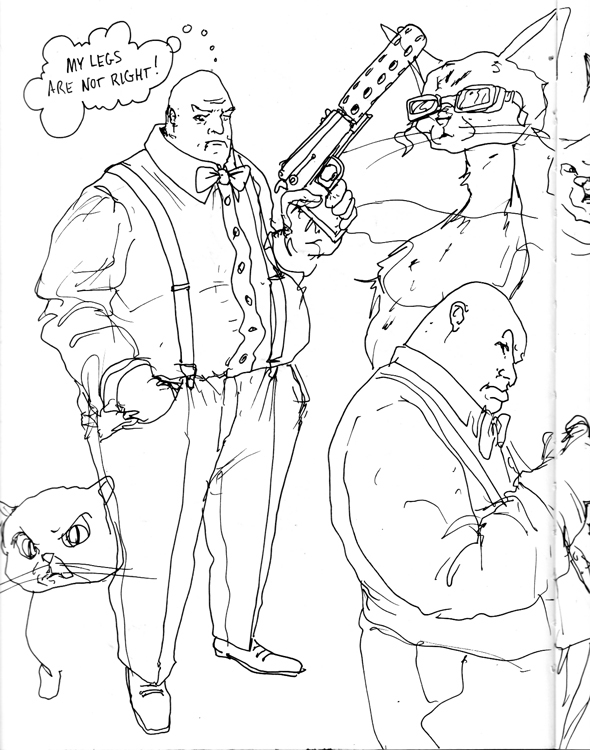 Until then I’ll open my sketchbook to a clean page, put my pen down, and make some marks. Just wanted to share this for those of you who are afraid of the all mighty sketchbook. Don’t be. Let go and have fun. Below are some examples of my latest sketchbook. 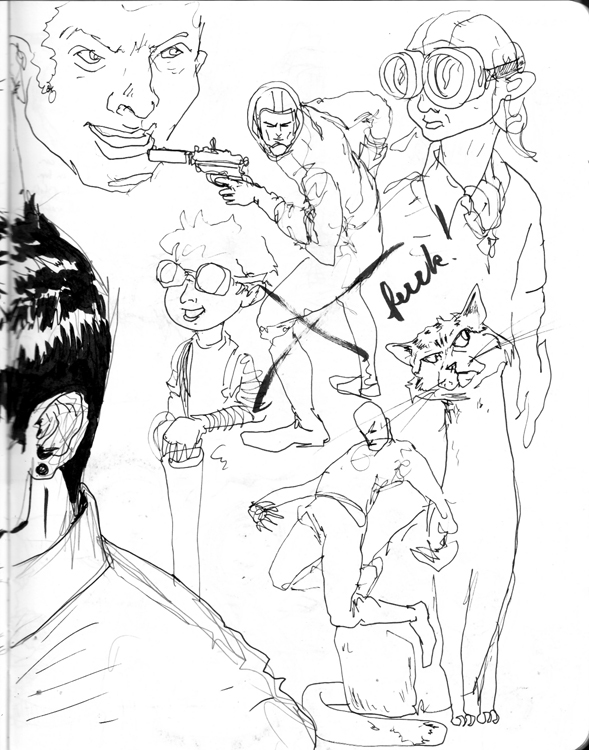 I purposefully tried to find pages that I personally am not happy with but wanted to share to show you that the majority of sketchbook is filled with loose drawings to come up with ideas for tighter work later. Some of the tools I use. 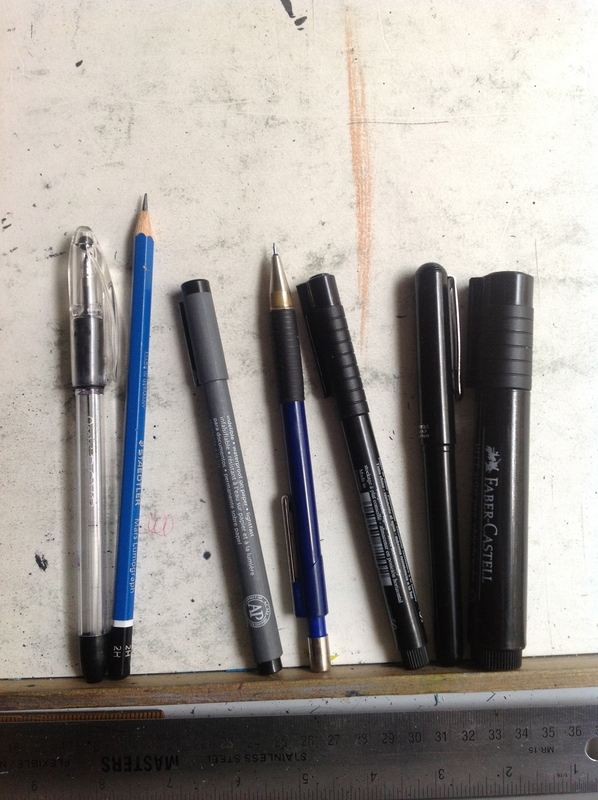 Ballpoint pen, Pencil, Staedtler Pigment Liner 0.3, Mechanical pencil 0.7, Faber Castell Pitt Pen S, Faber Castell Pitt Brush Pen Large, Pentel Pocket Brush pen. Some sketching while my wife was in seeing the dentist. Sometimes when being self critical I’ll just make the people on the page talk to me. Above is a couple sketches I sent to a client that weren’t picked. I like doing these in my sketchbook because I can then go back and do a more finished piece as a personal piece. Above is me trying to roughly figure out what I want the image for a client to look like. I take the ones I like and make them cleaner and tighter before I send to client. At least I know what’s going on here. My Grandfather always tells me that he never looks down on anyone unless he’s helping them up. Above are some ideas I’ve been hashing out for a project I’m working on right now.